Many of us are now more familiar with plastic pollution and its consequences for marine life. More and more creatures are being poisoned by micro-plastics as you read this; meanwhile, the dumping and migration of this material into marine areas continues unabated. People who want to do something about it are hampered by a lack of effective tools that detect and locate plastic pollution, however. Therefore, it’s difficult to even characterise the extent of plastic waste in our oceans accurately. A team of researchers has recently completed a project that, they hope, will address this concern. They have developed a new type of fluorescent dye that can detect microscopic plastic during routine sampling than ever before. This may lead to improved plastic recovery from marine environments and, eventually, a healthy planet for all of us living both above and below the waves. Plastic pollution in oceanic settings is rapidly attaining the status of a prominent environmental threat. 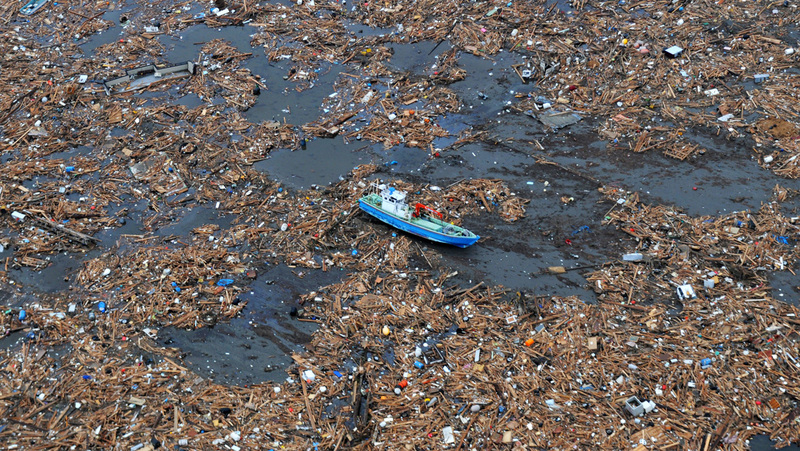 Plastics accumulate in large quantities until they form ‘garbage islands’ in oceans such as the Pacific. However, plastic is also a more insidious influence on marine life. Micro-plastics, which are the results of plastic processing (e.g. into products such as micro-beads) or breakdown, are found in ever-increasing abundance in ocean waters. Marine animals ingest these micro-plastics, which increases the risk of their ill health or even death from plastic poisoning. Moreover, fish and marine mammals may mistake small pieces of plastic as food, thus leading to their starvation and possible premature death. However, the recovery of micro-plastics from ocean waters is difficult, as it is easy for them to elude conventional detection methods for this material. Therefore, the concentrations of ocean microplastics is likely to remain consistent, at least. Microplastics are typically regarded as plastic particles less than 5 millimetres in size; therefore, there could be thousands of them in samples that go undetected. Research indicates that microplastics of 1 to 5mm in size are detected significantly more often than plastics of larger sizes in surface waters or shorelines. However, there are no such reliable statistics for microplastics measuring 1mm or less, as high-volume methods for their detection do not exist. In fact, the most common method to find them involves manual searching by eye, which is subject to all kinds of human error. Therefore, a more quantitative (and, ideally, automated) process may be better when assessing samples for these smaller microplastics. A team from the School of Life Sciences, Department of Chemistry and Medical School at the University of Warwick and the School of Biological and Marine Sciences, Plymouth University, set out with the aim of developing this process. They found that a certain dye, Nile Red, could bind to microplastics with high specificity and produce fluorescence when it did so. Therefore, the detection of microplastics measuring from 20 micrometers to 1 meter using microscopy and its analysis was made much easier and more accurate. The team then scaled their method up to a semi-automated, high-throughput scanning protocol. Their preliminary study, which involves processing numerous samples for microplastics, indicate that the concentrations of these particles is much greater than previously estimated, and that this effect is roughly proportional to decreasing microplastic size. Prior to this study, the quantification of very small microparticles was not adequately considered – or thought to be negligible – due to the imprecise detection of plastics of the relevant dimension. However, this new Nile Red-powered method may now result in a re-assessments leading to more accurate assessments of microplastics present in our surface waters and coastal areas. The team has published a paper on their new plastic-detection protocol in the November edition of Environmental Science & Technology. Gabriel Erni-Cassola, the lead author of this paper from Warwick’s School of Life Sciences, envisions “huge numbers” of samples being assessed using their method. These samples could also contain seawater or any other relevant environmental material. Another author, Dr Joseph Christie-Oleza of the same school, suggests that only 1% of all plastics “lost” in the ocean is accounted for using conventional detection methods; therefore, the new method he has helped developed can find the other 99%. The vast majority of plastic present in the oceans may be no larger than a human hair. This makes them susceptible to ingestion by marine animals. This may have a considerable impact on their health and viability over time, which may have a knock-on effect on the quality of seafood humans eat over time. However, anyone who wants to help to ‘clean up’ is hampered by an absence of effective, specific, high-throughput methods that can even accurately detect plastic, especially at the milli- or micro-metric scale. However, a new plastic-detection process developed as a result of collaboration between the universities of Plymouth and Warwick may have changed this situation completely. It is to be hoped that their fluorescent-microscopy-based method will revolutionise the detection of microplastics in the ocean, and sooner rather than later. Erni-Cassola G, Gibson MI, Thompson RC, Christie-Oleza JA. Lost, but Found with Nile Red: A Novel Method for Detecting and Quantifying Small Microplastics (1 mm to 20 μm) in Environmental Samples. Environmental Science & Technology. 2017.